Alberto Aliaga Zanon, born in Valencia in 1917, Lawyer and Professor of Commercial Law, began practising as a lawyer in 1953. A charismatic lawyer with a flawless record, he stood out for his social work and involvement in European labour movements, studying the new movement and development of Young European Socialists in Germany and the Netherlands. A man with deep moral convictions, he always put his principles first in any work he undertook and held the post of Secretary General for the National Catholic Association of Propagandists (ACNP). 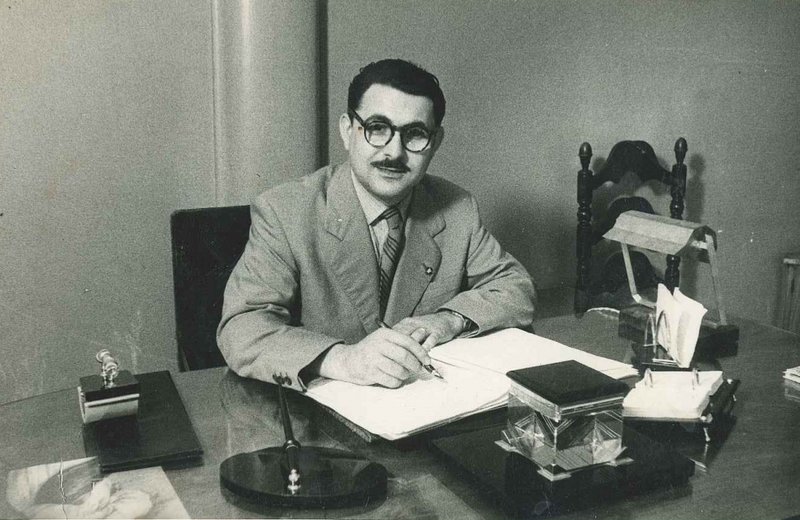 He was a professor of Commercial Law and Business Accounting for several training and development courses, and he founded the ‘Fuente del Jarro de Paterna’ industrial estate in Valencia. A man of great intellect, he delivered numerous conferences and worked as an adviser to politicians and other government figures, preferring to continue his work in the Law Firm rather than launch a political career. His Law Firm covered all the different fields of law, and resulted in what is todayALIAGA ABOGADOS, which consists of his family legacy and the incorporation of prestigious legal professionals.